In addition to being reported on these shores, Mellow Monk's first-place win at the North American Tea Championship is also making news in the tea artisan's locality. On the left is a cellphone pic of the article that appeared in the August 18th edition of Kumamoto Prefecture's paper of record, Kumamoto Daily (a.k.a. "Kumanichi"). 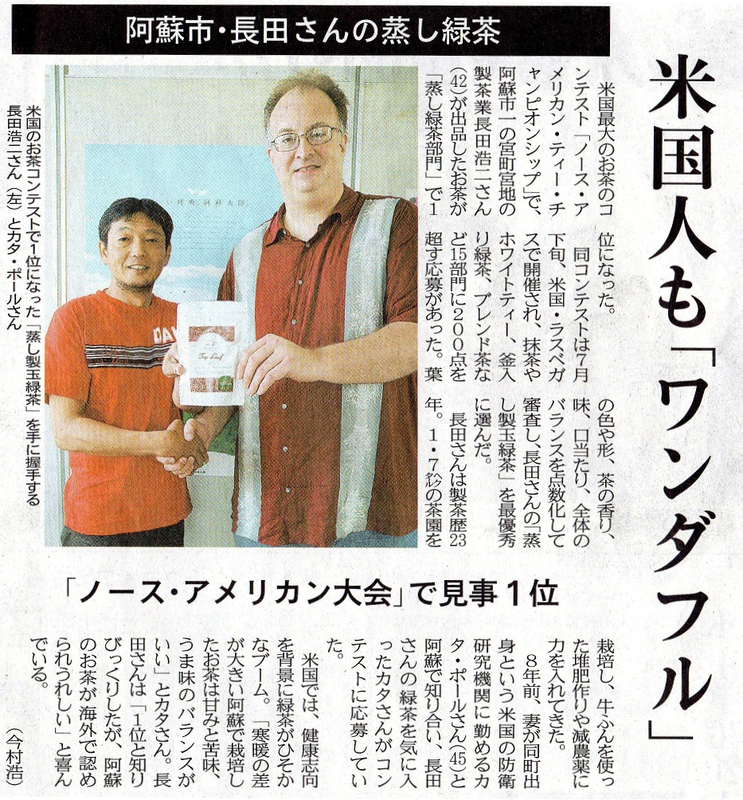 The Kumanichi reporter who wrote the story sent us the photo used in the article, which was taken at a Kumanichi office. 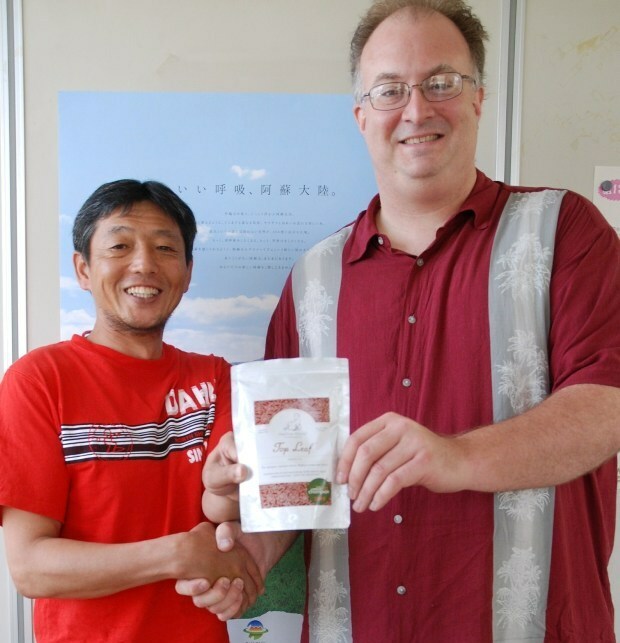 It features the tea artisan who crafts the winning tea along with our tea buyer, who was in the area when we received news from World Tea Media about our 1st place award.